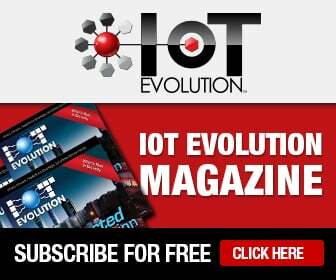 IoT in Factory Automation: Evolution or Revolution? The Internet of Things has become something of a media buzzword (or phrase) of late – leading many to believe the technology behind it is brand new. Of course, anyone with factory experience can tell you this Internet of Things has been building for some time. But the question remains: Is IoT revolutionary? In contrast, Bosch posits that industry has already been through multiple revolutions, from the early Industrial Revolution begun in the 1800s, to the process revolution introduced by Henry Ford and his famous assembly line, to the earliest personal computers and earliest Internet applications changing the way we live and work in the 1980s. As a result of this thinking, they have named our current state of Industrial and Internet conversion Industry 4.0. Whether we’re in revolution three or four, or a revolution at all, one thing everyone can agree on is that what connectivity “. . . brings to industrial processes is its intrinsic functionality: the ability to monitor movements and measure physical data, and transmit the data to a central facility that processes it into real-time, actionable information on which decisions can be based,” according to ILS Technology, a Telit Company. But as communications protocols advance, the mix of technologies speaking to, from, and between factory equipment is increasing in complexity – often comprising a mix of IP-based and non-IP data travelling across multiple networks from hard-wired to short-range, license-free wireless to cellular and even satellite. Of course, to management, “data type doesn’t matter,” according to Alan Tait, CTO of Stream Technologies. “We need to abstract out the complications of multiple networks in order to monetize machine intelligence.” Thankfully that barrier evolution, together with the growth of cloud computing, allows (often for the first time) an opportunity to extend control beyond the four walls of the factory. “The result is a more competitive and more profitable manufacturing company, one that is well placed to meet the challenges and opportunities of today’s dynamic business environment,” according to ILS Technology. But how do we get there? Like Ford’s technique, we use “building blocks,” says Exosite’s Erik Rorvick. Exosite is focused on delivering a “zero barrier” path to IoT adoption, addressing “changing product strategies,” as well as process. And when it comes to mission-critical factory operations, “security dominates,” according to Rorvick. He’s not alone. In addition to industry-led efforts, the U.S. Federal Trade Commission and both houses of the legislature have taken up the issue of IoT security, and when it comes to the integrity of the manufacturing process, industrial energy, and critical infrastructure, there is little doubt as to the reason. That is why the TIA and countless others are working toward standardizing IoT protocols with a particular eye on data governance and information security. Big advancements are on the way for factory automation thanks to these emerging efforts, but we’re more on the side of revolution than evolution. Granby of Red Lion Controls may be right when he says: “The world is changing, then, but step by step, just as it has always done,” but we think those steps are both getting bigger and coming faster. For our take on Industry 4.0 and how long it will take before the next “revolution,” let us provide a sneak peek now through a bad joke. The value in IoT is the combination of all of the “laws” discussed in the joke above converging. It starts as a ripple and becomes a tsunami. We believe that in 2030, we’ll have figured out all of this big data/connected device nonsense and will be well along the path to a synchronous, autonomous, and artificially intelligent world. James Brehm is founder and chief technology evangelist at James Brehm & Associates (www.jbrehm.com).